Coppell Middle School North students listen to health science teacher, Bill Borowski explain the medical electives. 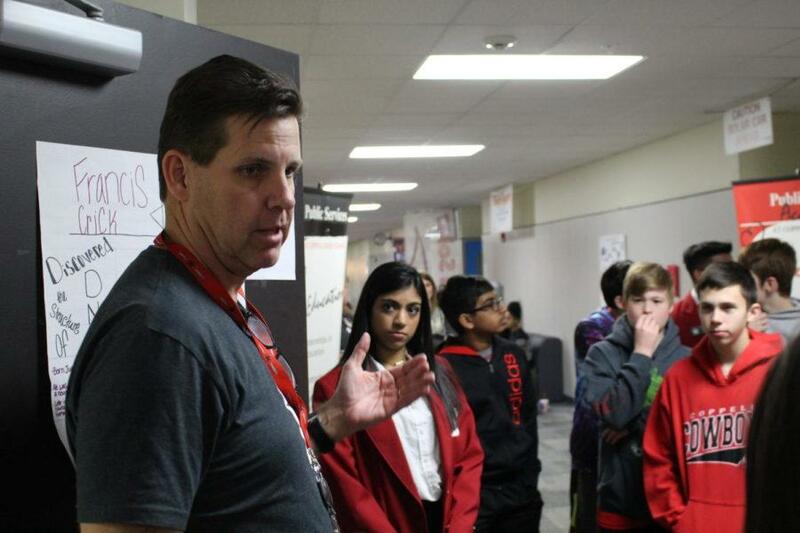 Coppell High School Red Jackets led eighth graders on tours throughout the day and will continue to do so with each middle school until Thursday. Buses filled with eighth graders stopped at Coppell High School today to allow them the opportunity to walk the halls at CHS and learn more about what their time in high school will entail. Every year, the CHS Red Jackets guide eighth graders on tours of the campus to show them a glimpse of the life they will be living during their time at CHS. 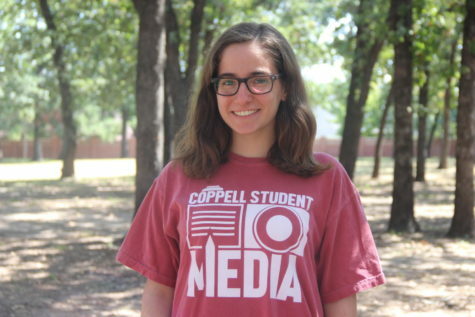 The tours began today with Coppell Middle School North and run through Thursday. For the first time, the eighth graders will not be attending school at CHS next year, but rather the new Coppell High School Ninth Grade Campus currently under construction. Nonetheless, the students were filled with excitement as they traversed the hallways and asked Red Jacket tour leaders questions about everything from making it to class on time despite what seems like short passing periods to the workload that they may be taking on each year. “It’s really amazing to be an ambassador of the school and be able to show them around to the clubs, classrooms, and introduce them to this different environment,” Red Jacket senior Agnibho Roy said. From the band hall to the Round-Up yearbook room, students toured the building and received information on classes, events and ways to make their high school lives easier to adjust to. In addition, students were given information about the endorsements and what each option entails. Arts and Humanities, STEM, Public Services and Business and Industry are the areas that were covered in-depth and students from each endorsement were chosen to talk to students about taking that path in high school. It is well-known that the transition from middle to high school is a large and daunting one, which is why the Red Jackets, a group of 37 seniors that exhibit strong leadership skills and have taken academically rigorous courses throughout their time in high school, are the leaders of these annual tours. Another common fear the Red Jackets help alleviate is the misconception that it is impossible to keep old friends or make new ones. With thousands of students occupying the school, there is no shortage of people to meet or get to know throughout high school. 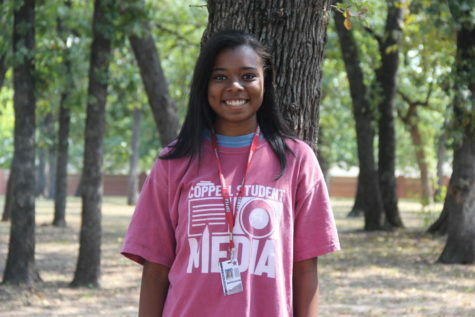 “I’m excited to meet new people from other schools, try out new classes and experience the variety that other schools may not have to offer,” eighth grader Kriti M. said.